With the day of romance and love approaching you may be scrambling to come up with an affordable date night idea. 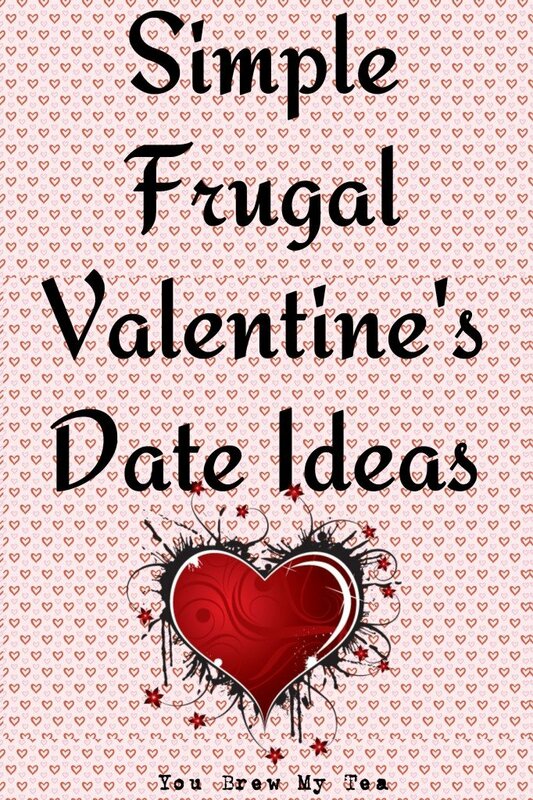 These Simple Frugal Valentine’s Date Ideas are sure to please you and your lover on this special day. We love doing things like these on a regular basis, but can easily bump it up a notch or two with a little more romance for the “day of love”. Whether you are in a new relationship, or have been married for years these are some great ideas to get you started on a special day or evening with your love this year. Give massages. Grab some massage oil and set the mood with candles and soft music. Take turns giving each other a massage. Enjoy special treats like chocolate covered strawberries, speciality chocolates or a nice glass of wine. You can limit expenses by splurging on just a few special things and stay in for the evening. This is even perfect for those who can’t afford a babysitter, but want to have some romance after the kids go to bed For a super limited budget, you can use coconut oil instead of pricey massage oils. Not only will a little go a long way, it will easily melt and warm with the heat of your hands. Burning a fragrant candle or diffusing some essential oils can help to set the romantic mood. At home movie marathon. Men can volunteer to watch chick flicks, or ladies can volunteer to watch the action and war movies. Set up an at home theater with pillows, blankets, pop corn, candy and soda. Snuggle and hold hands like you did as teenagers. This is also a great way to dig out that fist movie you watched together. A great way to reconnect, reminisce and enjoy a special memory together. Visit an art gallery. Many galleries offer special events around Valentine’s Day featuring some of the most romantic pieces. Check into your local venues and enjoy a low cost or often free experience that features beautiful local or international art work. Skip the fancy meal out, and opt for a special dessert after your gallery visit instead. Coffee and cake, ice cream or even fresh warm cookies can be a great way to end your quiet evening together. Living room picnic. Since Valentine’s Day typically ends up being in cold weather for most people, taking a traditional picnic can be too cold. Instead grab the blankets, basket and bottle of wine or sparkling cider and create a simple and fun at home living room picnic. You can serve literally any meal, or go with things like fresh fruit, chocolate, cheese and crackers for a more romantic take on a picnic. A pizza and sodas is even a great option depending on the couple and their preferences. Hold a video game tournament. Get the game systems out and rent a new game at the local kiosk to surprise the man in your life with an impromptu video game tournament. Let him teach you how to play, or learn a new game together. Grab a pizza and some snacks for when you get hungry. Make sure to relax and enjoy the time together. This will appeal to his fun loving nature while giving you time to connect in a fun and light hearted way. This is especially good for those couples who get caught up in the day to day stress of work, budgets, life and kids. Relaxing and behaving like kids again can make this a special time where you can both feel free to be yourself with each other. Romance and love should be a part of your life and relationship every day. Don’t let stress, life and daily frustrations get in the way. These simple frugal Valentine’s date ideas should give you and your lover just what you need to reconnect and enjoy the spirit of the holiday together. Even when your budget is limited, you can do many things to connect with each other and feel love and romance. My Beau and myself often have to simply enjoy an hour of television together after the Wee Child goes to bed as a way to connect. When there is a lack of a babysitter and finances are tight, it means making the time and effort to connect in other ways. These frugal Valentine’s date ideas are just the beginning of the numerous ways you can show your significant other how important they are to you.